I gots a hankerin’ | Separated by a common language. to go to New York this summer…any takers? either way, I want to see if there’s a real Pug Hill. 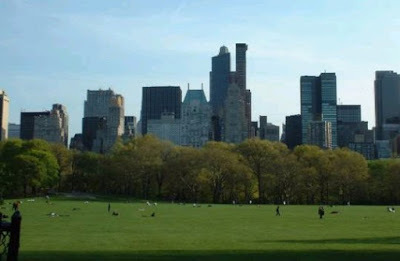 If there is I plan to live in that park and die of happiness. A hill made of Pugs? Ultra – Well, one can only wish a hill existed of live pugs, but this is just a hill with pugs on it. I know where it is from a book I read, but I’ve also heard this explained as “dog hill” as well. Amanda- So I have heard as well! I read in Modern Dog that there are quite a few dog friendly hotels! Can you get ‘Retro Dog’ as well – for the owner who likes to dress their dog as a victorian luthier and take pictures of it playing pool? Although I’ve never been to NYC in the summer, I am sure it is lovely. However, I did go in November of ’99 and it was awesome! Central Park in the autumn is a sight to be seen! Only if we can go to Harlem. I have some unfinished buisness with the globetrotters. Me! Me! Yeah, I doubt if I’ll make it. You go, though…and have a marvelous time! Mike: does it have something to do with a giant T-Rex and a slam dunk competition? I’ll even the score Goose Tatum, just you watch!